Israeli security forces led by the Shin Bet domestic intelligence agency have uncovered a recruitment drive by Palestinian Islamic Jihad operatives located in Pakistan, the Investigative Project on Terrorism has learned. The operatives hail from Gaza and tried to recruit fellow students in Pakistan to create a West Bank cell, according to Israeli security sources. The investigation illustrates the ease with which terror organizations, particularly Islamic Jihad and Hamas, recruit Palestinian students overseas, often taking advantage of extensive contact networks, the sources said. The case is unusual for exposing Palestinian Islamic Jihad activity so far from the Palestinian territories and from Israel. According to the Shin Bet's investigation, 22-year-old Baha'a Abu Marhiah, a resident of the West Bank city of Hebron, is a Palestinian student who was recruited by two Palestinian Islamic Jihad operatives. Marhiah was studying for a law degree at a university in Lahore, Pakistan. Two Islamic Jihad operatives from Northern Gaza's Shati Refugee Camp were studying for doctorates at the same university. Israeli security forces named them as Sharif Halabi, 34, a religious scholar and teacher, and Ramzi Shakshak, 32, who lectures at Al-Aqsa University in Gaza. Halabi, who told students in Pakistan about "martyrs" in Gaza and incited them against Israel, gained Abu Marhiah's trust and convinced him to join Palestinian Islamic Jihad, the investigation found. Halabi allegedly told Abu Marhiah to keep in touch after returning to Hebron, and to await further instructions on how to conduct attacks, according to the Shin Bet. Today, Halabi and Shakshak are back in Gaza. But Marhiah was arrested Sept. 22 in a joint Shin Bet, Israel Defense Forces, and police operation following his return. In recent days, an IDF military court charged Abu Marhiah with carrying out a service for a banned organization, and holding contact with an enemy entity. After Hamas, Islamic Jihad is the second largest terrorist organization in Gaza, with approximately 5,000 armed combatants split up into regional brigades and a domestically produced rocket arsenal which incorporates Iranian know-how. Any expansion of Islamic Jihad from Gaza into the West Bank would also represent an Iranian push into the area. Prior to 2002's Operation Defensive Shield, Islamic Jihad maintained a high profile in the West Bank and launched a series of suicide bombing and shooting attacks against Israelis. Jenin and Hebron were considered strong areas for the organization. The terrorist group is now working strenuously to reinvigorate itself in the area. Iran remains the principal financial backer of Palestinian Islamic Jihad in Gaza. Unlike Hamas, it has remained utterly loyal to Tehran and enjoyed sustained, continuous support from it. While Hamas has distanced itself from Iran's Shi'ite sectarian intervention in the region's raging wars, particularly in Syria, Islamic Jihad has not. In recent months, Iran has expanded efforts to create a zone of influence in the West Bank, according to Israeli defense assessments. This included attempts by its proxies, Islamic Jihad and Hizballah, to set up terror cells there. 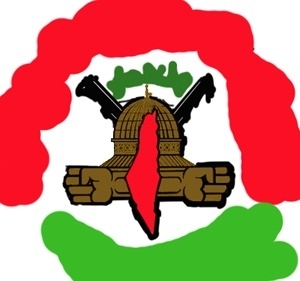 Israel identified and stopped efforts by Hizballah's Unit 133, which seeks to set up terror cells among Palestinians and activate them, earlier this year. Meanwhile Shin Bet periodically checks efforts by Islamic Jihad in Gaza to recruit West Bank attackers. Despite the successes, the Israel Defense Forces (IDF) central command assessed last year that Islamic Jihad was gaining strength in the West Bank. The small, yet highly focused organization will continue acting as the principal flag bearer for Iran in the Palestinian arena.